Banner takes a battering ahead of Storm Front. Newbury’s freak weather storm has pulled down one of the banners along Northbrook Street. 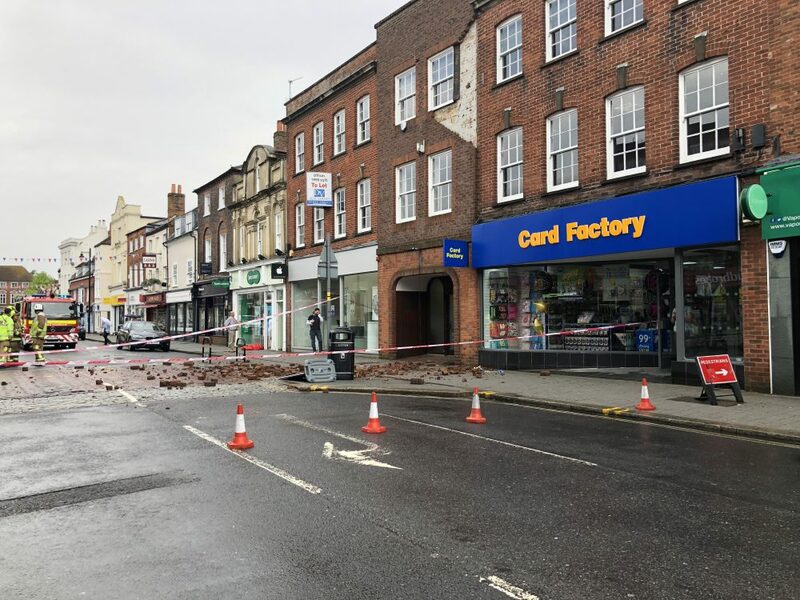 Fire services who were quick to the scene have safely cordoned off the area despite severe damage to the frontage of the offices. 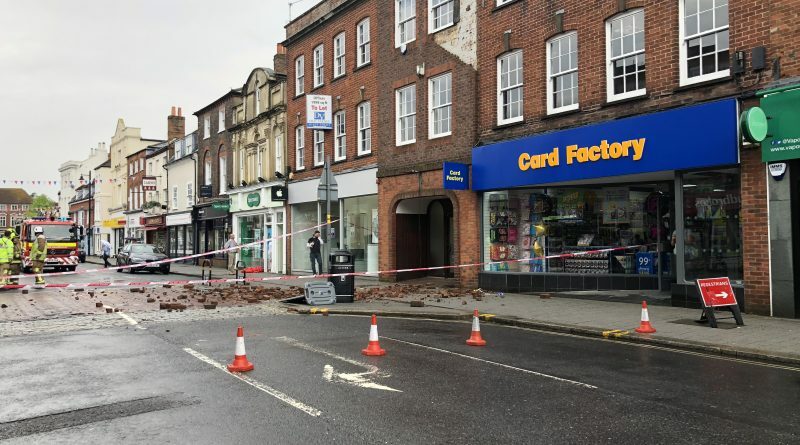 Northbrook Street is currently closed between Albert Road and West Street due to storm damage to a nearby building. 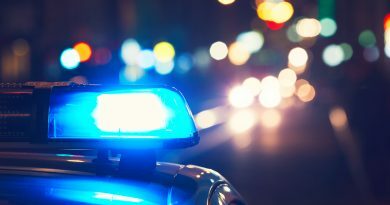 It is unconfirmed how long the closure will be in place but at least until the building is made safe. All businesses except from that directly below the damage can still be accessed on foot. All vehicles affected by the closure can gain access via West St which will be subject to two way traffic during the closure. Newbury MP, Richard Benyon confirming there are no casualties. 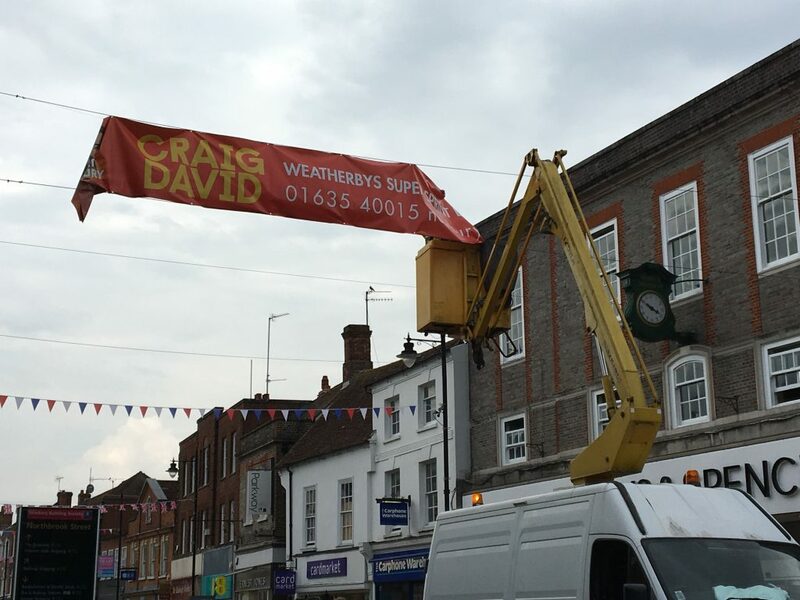 West Berkshire Council have requested that Newbury BID, the organisation responsible for the banners across Northbrook Street remove the banners from their other 2 points as more flash storm weather could be on the horizon. 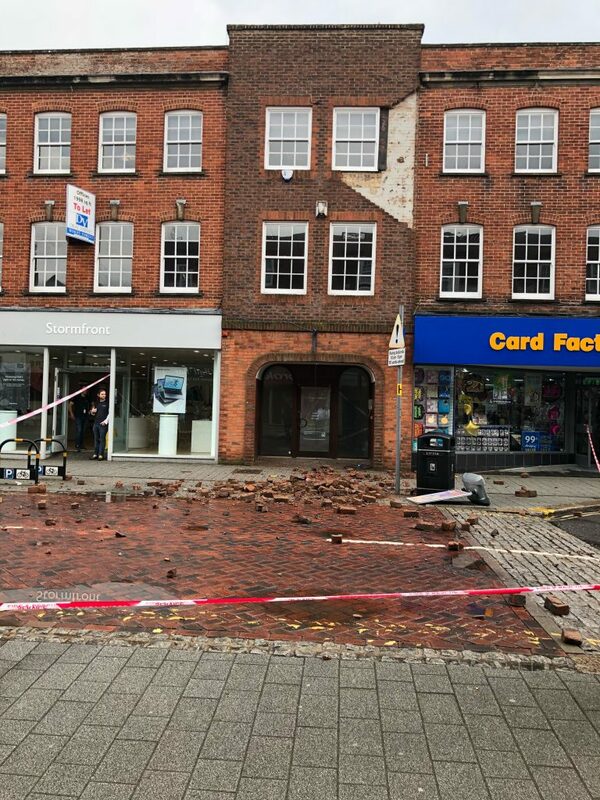 Damage caused by the freak weather storm in Newbury.